For most hospitals and health systems, orthopedic services are a major contributor to the bottom line and indirectly support many other critical acute care services. Demand for orthopedic services is increasing—but so is competition among providers. To protect orthopedic share and margin in this environment, it will be essential for health systems and hospitals to secure the loyalty of their independent orthopedists through more formalized alignment approaches. Most hospitals and health systems historically have relegated orthopedics to the strategic back burner. 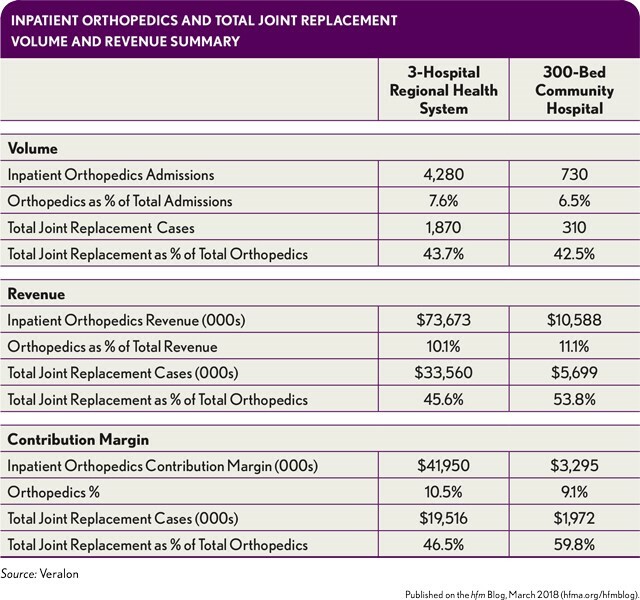 Orthopedic surgeons sought to remain independent, and the market perceived the service to be a commodity with little differentiation; few hospitals developed orthopedics as a center of excellence. Formal alignment with independent orthopedic groups was usually limited, or focused on one-off transactions, many aimed at securing inpatient surgical volume. This strategy was successful as the orthopedic service line continued to grow in volume and contribution to the bottom line. Now, however, the landscape is rapidly changing, thanks to the shift to value-based payment and population health management through bundled payments and the Medicare Access and CHIP Reauthorization Act, and the emergence of regional and national orthopedic service-line aggregators, such as EmergeOrtho in North Carolina and the National Orthopedics & Spine Alliance. The most significant change in orthopedics likely will be the shift of orthopedic procedures to the outpatient setting due to technological advancements and patient demands for convenience, transparency, and lower costs. The Centers for Medicare & Medicaid Services (CMS) has substantially increased ambulatory surgery center (ASC) payment rates for several joint procedures, which will further accelerate the move to the ASC setting. Hospitals that continue their historical focus on the inpatient business are at risk of having their market position deteriorate particularly as more procedures are removed from Medicare’s inpatient-only list. For example, CMS recently removed total knee replacement from the list, and has proposed removal of hip arthroplasty. As total joint replacement procedures are removed from the inpatient-only list, the migration of orthopedic cases to the outpatient setting will intensify. Many physician-owned ASCs and other surgical facilities are already ramping up capabilities and developing outpatient joint replacement programs for commercial payers. The importance of the orthopedic service line to hospitals and health systems and the potential impact of these shifts is illustrated in the exhibit below. Hospitals and health systems should be on the forefront of this shift if they hope to remain competitive. A change in loyalties or the development of a substantial affiliation with (or even employment by) a competitor can result in a shift in cases, overnight. To maintain orthopedics as a key driver of overall organizational performance, hospitals and health systems will need more comprehensive and formalized structures for alignment. A proactive approach can position an organization for greater success, generating incremental volume that can help offset revenue losses associated with cases shifting to lower-cost settings.